Gibbs Amphibians, founded by New Zealander Alan Gibbs, is set to establish a Humdinga assembly subsidiary in Qatar. 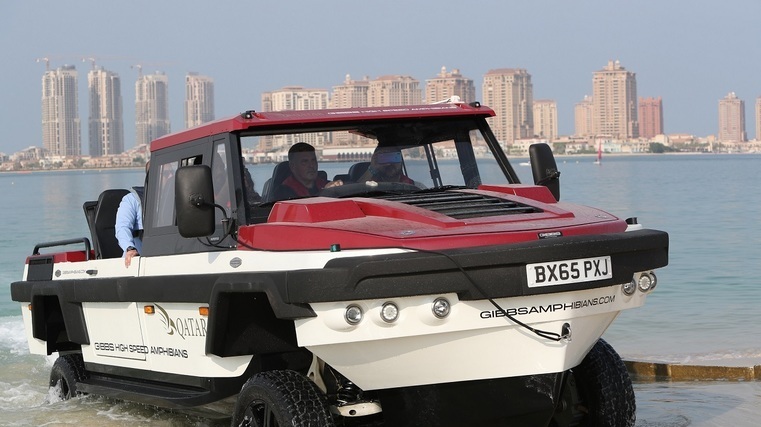 Gibbs Amphibians, created by New Zealander Alan Gibbs, is set to ink a strategic partnership with the Madaeen Al Dohan Group to supply and assemble the Gibbs Humdinga. Gibbs Amphibians is the first company in history to successfully create fully homologated vehicles that can exceed 48kph on water as well as achieve typical speeds on land, transitioning between land and water in under 5 seconds, at the push of a button. Gibbs is enthusiastic about the new opportunities in the region and the performance of the Humdinga in the market. 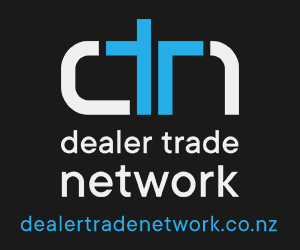 “There is a developing global demand for the Humdinga, and we are receiving high levels of interest from all kinds of customers, including governments and private individuals," says Gibbs. "This is the right time and the right opportunity to further the use of Humdinga, and I expect we will see them being widely used in many parts of the world in the near future." "This is the right step because Gibbs products are high value and high tech, and we are keen to work with partners who share our vision and values, as the Madaeen Al Doha Group do. The first product we will be focusing on for the region will be the Humdinga. "Gibbs has locations in the U.K. (Nuneaton) and New Zealand, utilising engineers and expertise from both countries to continue to develop High-Speed Amphibian (HSA) technology and the vehicles designed around it. "Over the last 20 years Gibbs has invested millions of pounds, and more than three million man hours, in the maturation of the technology. This has resulted in over 400 patents and patents pending worldwide, making Gibbs the global leader in High-Speed Amphibious technology. "The Humdinga is one of the more rugged vehicles created by Gibbs, capable both off-road and on-water. 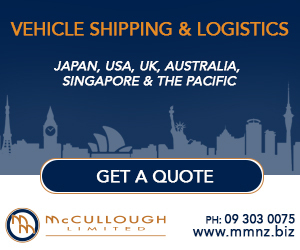 It seats up to 9 passengers, with the signature Gibbs central driving position and can carry up to a tonne in payload. "It reaches speeds in excess of 40mph (64kph) on water and over 80mph (129kph) on land, with 4wd and twin Gibbs proprietary water jets. The Humdinga is a flexible platform, capable of applications from logistics to search and rescue, from police patrols to private leisure. It has been manufactured under license in South East Asia but has never been available to the public, or to such a wide region before.